Our Funarena! : The Munching Ways Of A Miser...! He is employed with a good monthly salary, but he always wanted to save every paisa of it. By hook or by crook! Of course, at times he fails, and in those occasions he goes for the cheapest possible options or prefers to forego the comforts or eating altogether. He never wants to pay monthly rent on an accommodation, because he feels it’s a dead draw from his bank accounts with no productive benefits. He only goes in the night to sleep there. So, why pay money for that mundane detail? He is a perfect manager for such tasks. Initially he forced himself on a friend and began staying with him in the city of his employment. He managed for a reasonable period constantly telling his friend that it was only a temporary arrangement. However, that place was quite at a distance from his office, and he had to incur daily expenses on public transport. He heartily hated that and was desperate for a solution. He found one soon. Discovering another friend with a house very near to his office he again forced himself with the same modus operandi. He was elated at being able to save all his salary plus taking healthy daily walks to his office. 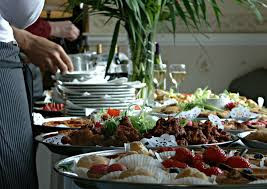 As far as the ‘food for living at no cost’ or ‘munch management’ was concerned he concentrated on the events or programmes or seminars or conferences or parties where at least one of the three meals was guaranteed. Those events mostly took care of his free breakfasts and lunches. He thoroughly relished those meals what were ‘free unlimited downloads’ for him! As for the suppers he participated joyfully whenever his friend decided to cook at home. On occasions when dinners could not be ensured he preferred to remain hungry and healthy for the next free meal next day. He would take only mineral water on robust health grounds. Office provided that facility free of cost with the water jars coming in daily. He collects free bottles, fills those with the office water and takes those to his house. He considers the tap water there unsafe for drinking. On weekends he visited his native town and feasted on the food fiesta offered by his doting mother who was amicably able thanks to her husband’s good pension. Our miser showed implacable dexterity in avoiding the expenses of his weekly bus trips to his native place too by managing a government pass. He never entertained any of thought of getting married after arguing it out conclusively for himself, ‘I’ll never marry an unemployed girl...obviously because her daily food requirement will be a dead burden on me! ...Even if I marry an employed woman I’ll naturally become her finance manager... and her money will be my money! ...This is bound to take a turn for the worst at its clumsiest because of our mutual food requirements...’ Once he was really caught in an ominous wedlock situation due to the insistence of his parents. True to his frugal abilities he managed to wriggle out convincing his parents that the marriage could result in him being taken away from them for good by the wife. On office days when he failed to manage‘free-meal’ events he existed on biscuit bites. At times he bought the cheapest biscuit packets available or collected those from safe sources and stockpiled in his room for future use. On some occasions he used to sit continuously in the room of his boss purportedly for selfless advice and companionship. The boss invariably ordered lunch at the appointed hours, and because our miser continued to sit he was offered food as a rendered-compulsory gesture of hospitality. He ravenously coveted office tours, because all his needs were taken care of free for days. On rare occasions when he failed miserably to arrange free food or even biscuits he magnanimously decided to starve during the day. We mentioned this fact earlier with regard to the nights. One night his friend went to dine out without informing him. As he entered the house he had to face this extremely unpleasant fact. He cursed himself for not having the foresight of keeping some biscuits at the house too. We forgot to mention one important fact—our miser never took tea. If this decision was habitual or made in light of the consideration of the concomitant costs was not known. Anyway, this ‘habit’ or ‘decision’ saved him loads of money in terms of having teas himself and/or offering those to guests. Then he brightened up. He managed an invitation for a forenoon seminar the next day where at least lunch had to be provided. Coming to office he immediately rushed to the venue only to find that the fixture was cancelled at the last minute due to unavoidable reasons. He asked his assistant for a cheap restaurant nearby. On being told that there was no such restaurant in the immediate vicinity he came back to office dejected, depressed and ravenously hungry. He dashed to his boss’s room for humanitarian considerations only to find it empty. He slumped in his room chair and gulped down a few biscuits with some free water. His food situation worsened in the evening as he found his friend out on a date with a girlfriend. Later he somehow got hold of the soft copy of an invitation for an important event the next day starting before the lunch hour. He decided to starve that night too in the hope of the ‘free unlimited download’ next day. His mind was in turmoil for some other rickety reasons. He could not contact his boss for the formal assignment to attend the next day’s event. Maybe some other persons get the assignment or have already got, he pondered anxiously. He had to ensure it come what may. His starving body called for desperate measures. He rushed to his office very early in the morning, waited eagerly for his boss to arrive. The moment the boss entered he barged into the chamber almost clamoring for an assignment mercy. Eliciting a formal nod he preferred not to meet or inform any other executives in the office for possible delay or confusion and literally ran to the venue. Whether our miser finally got his free meal and accomplished the ‘free unlimited download’ at the conclusion of the event was not immediately known.